Welcome to LaRue & LaRue Pediatrics, P.A. LaRue & LaRue Pediatrics, P.A. has been serving the Winter Haven area for over 60 years. Originally started in the 1950s with his father, Dr. Raymond LaRue, Dr. Eric P. LaRue has been at this location since 1986 and took over the practice in 1989. 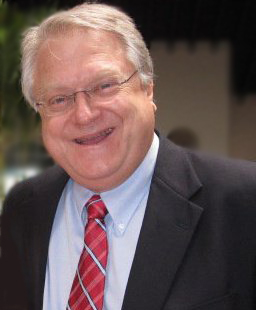 Eric Parke LaRue graduated from Winter Haven High School in 1971 then moved to Alabama to attend Auburn University (1976) and the University of South Alabama (1983). He is a doctor devoted to his craft. For him it’s not just a career, it’s a lifestyle. He is a doctor who listens to his patients and offers fatherly advice along with medication when needed. Dr. LaRue often helps with puzzling illnesses and likes to spend quality time with his patients. He wants them all to go home happy and healthy. Dr. LaRue is involved with the Winter Haven High School football team, giving physicals and attending all of its games. You will see him on the sidelines offering encouragement as well as tending to injuries. Dr. Eric LaRue is married to Kristine K. LaRue. They have 5 gorgeous children and 1 beautiful grandbaby.